We conquered one of the first parts of our home. In our continual journey of building out our new home in LA, Kyle and I are tackling it corner by corner. 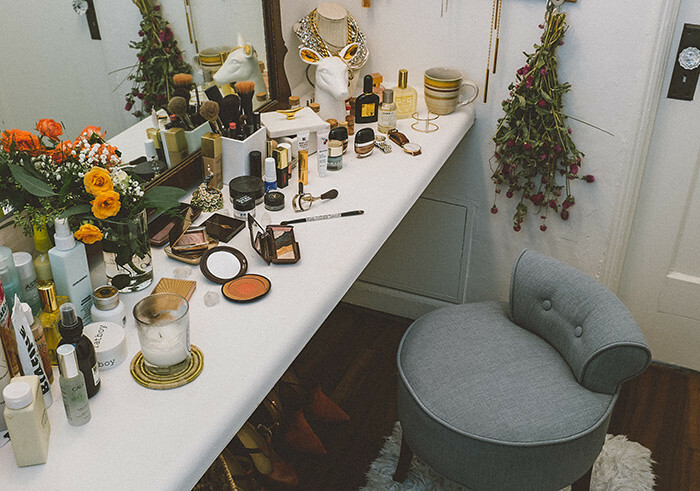 Our first complete piece - my vanity. I know, Kyle is the most amazing man to willingly and passionately help complete a space that's of my own as our first project. 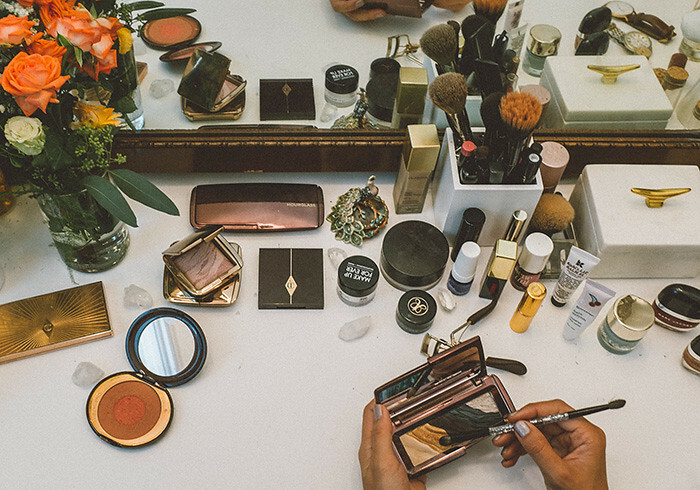 With it being my most intimate space where I wake up and spend my first morning moments, my vanity needed to be bright, inspiring, and organized to set just the right tone for every day. 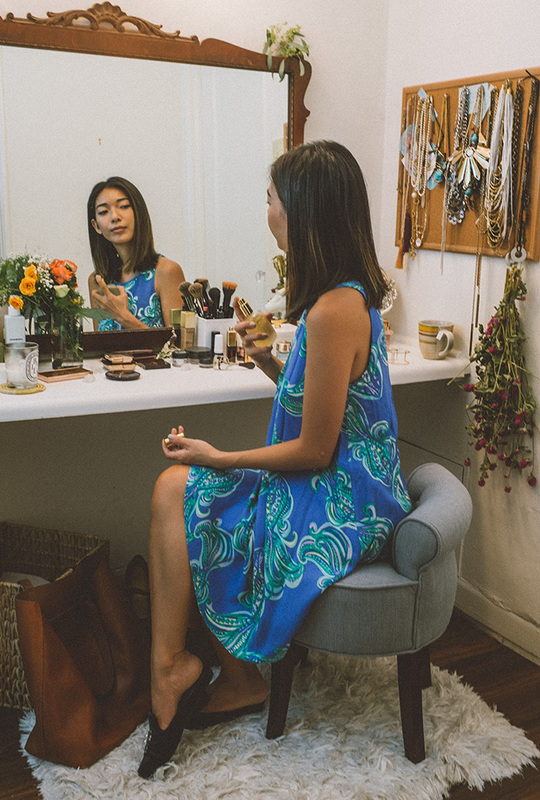 I turned to LA-based interiors boutique Lulu & Georgia to help make my vanity cozy and cute. While I love seeing my product hoard in its full glory, I invested in a couple of key pieces to help organize a few things together. 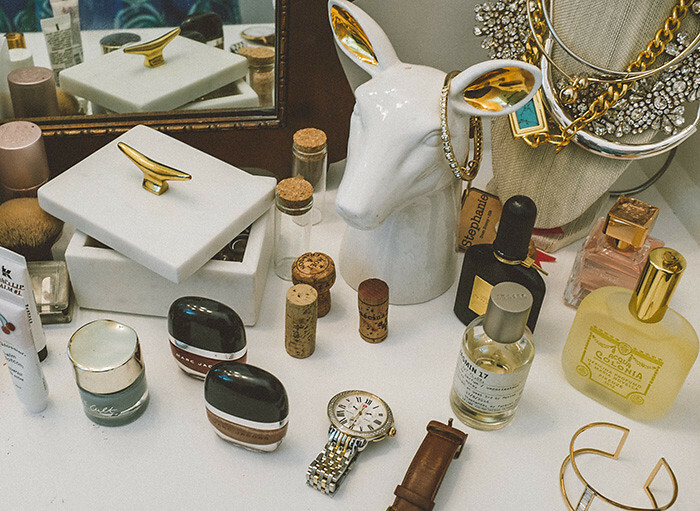 I personally love my porcelain doe figure so much as a dining table centerpiece, but I wanted to keep it close to me here and I used its ears to hold a few of my shiny bangles. I keep a sturdy, elegant box to hold my most delicate earrings and jewels; I really like this similar case from Lulu & Georgia here. 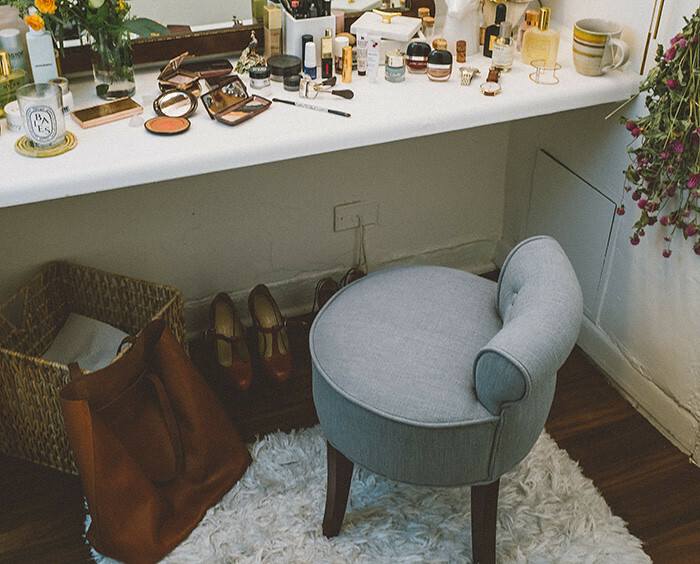 But easily my most favorite part of my vanity is the instant cozy feeling whenever I step onto the soft, shaggy rug and relax on this elegant, French blue stool that gives my vanity an air of demure glam. 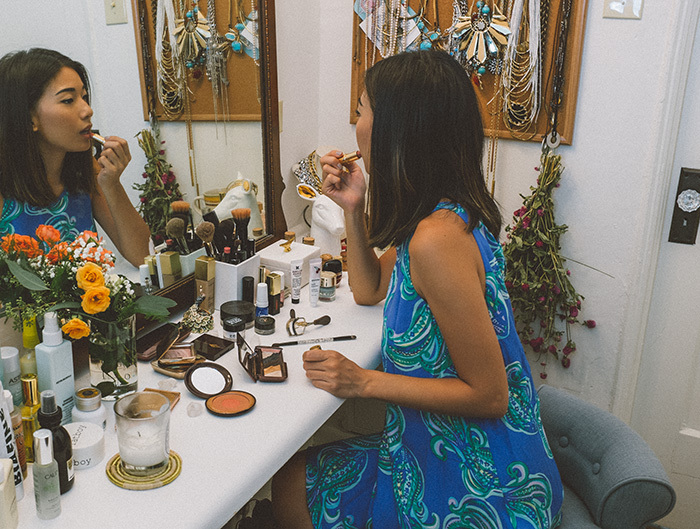 Everything about my vanity gives me enough reason to wake up in the morning. Kyle and I moved into our apartment almost three months ago, but building it into our home has been such a lengthy process, which I learned is just the way it should be. We're not rushing to get everything at once, not only because we're noncommittal with such "permanent" purchases, but also because we totally lack the eye for interior design. Fashion does not translate easily to interiors, I swear. But thanks to my friends at Lulu & Georgia, they've helped make a piece of our home whole and we're so excited to continue the journey, however long it may be. You have set up a really beautiful, inspiring space! It makes me think of a sunlit Parisian apartment, a perfect mix of antique & modern. The deer head is nice, is it made of real gold?